Yum yum yum. 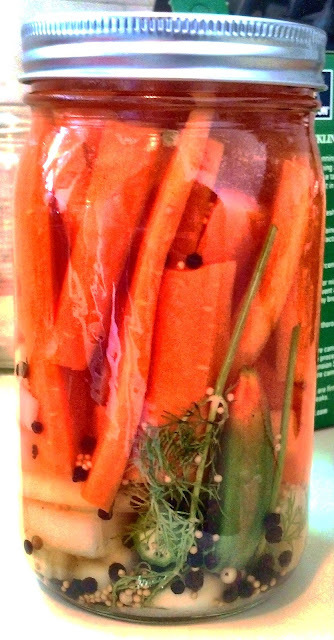 Pickled carrots. Yum yum yum. Blanche the carrots for about 10-15 seconds, and set aside to let cool. Put all of the ingredients other than your carrots in the bottom of your mason jar. I like mine SUPER spicy, and these are just pretty spicy. For spicier, use habaneros, and for less of a kick take the seeds out or use jalapenos. 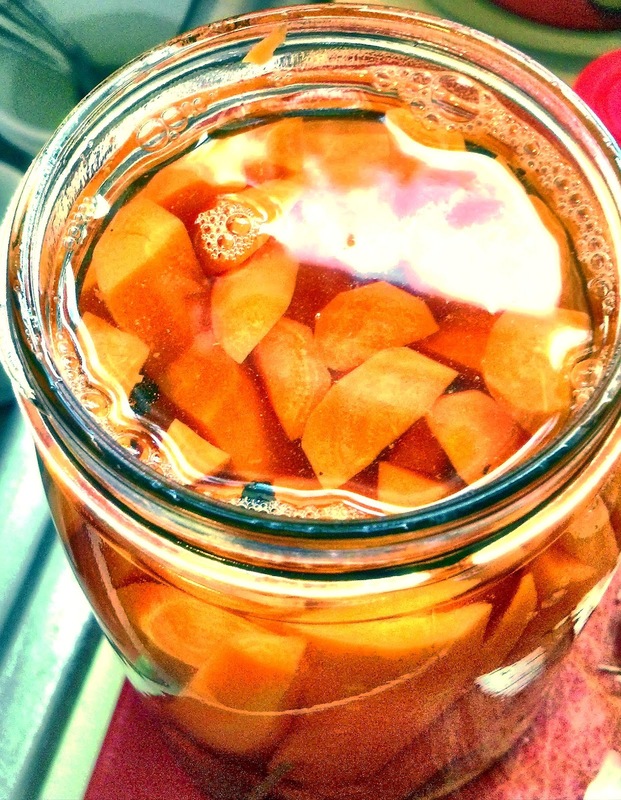 Put the carrots into the jar vertically until the jar is full, leaving about an inch at the top of the jar. Fill the remaining space with equal parts water and cider vinegar, completely submerging your carrots. Put the lid on, give it a good shake, and put in your fridge for one month. Give it a good shake about once a day to stir around all those goodies at the bottom. Also, open the jar every few days to make sure your carrots are still completely submerged in the liquid. If not, just add some more cider vinegar. Hi Tabetha. Thanks so much for following! I am such a new blogger, I get super excited when I get a new follower. Hi Sarah. 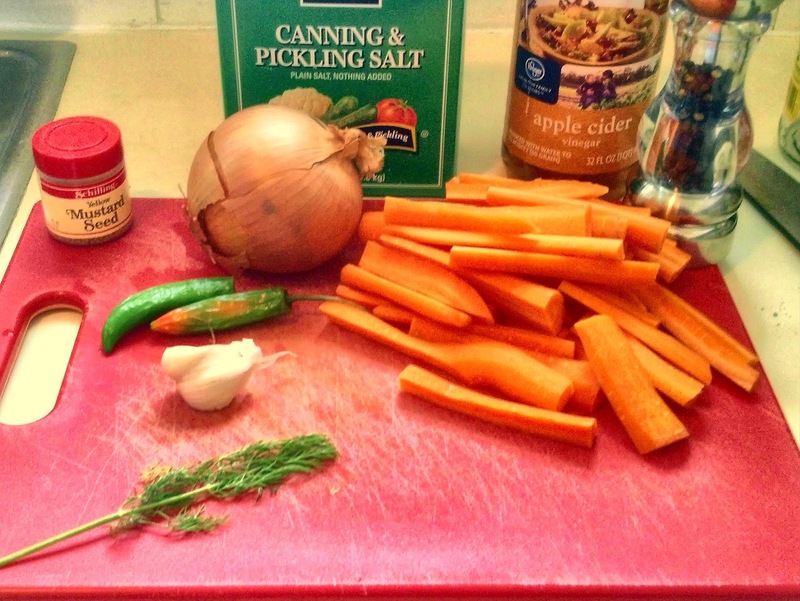 Can't really go wrong with pickling veggies can you? I am a vinegar hound, so I LOVE pickled anything. Peach bourbon attempt #1: TOTAL fail. 4th of July pinterest fun.